“Are you planning to breastfeed or bottle feed?” I was asked this question in the OB’s office around my sixth month of pregnancy, and my first response was a sigh. I had pondered this question almost from my baby’s conception, and thought I had come to the right conclusion. Wasn’t my answer good enough? Did I need to justify? I explained that I was on an antidepressant, Paxil, and that I’d done the research, I didn’t want to chance it being passed into my breastmilk. The OB wasn’t so convinced however. She proceeded to tell me that there was a “minimal amount” of medication transferred to the baby and that I should still consider breastfeeding. I was shocked. I wasn’t shocked because of the idea that the breastmilk probably wouldn’t be detrimental to my little one. I knew that antidepressants didn’t end up in the milk in more than minute amounts (according to Dr. Hale’s studies), but I had gone off of Paxil previously. 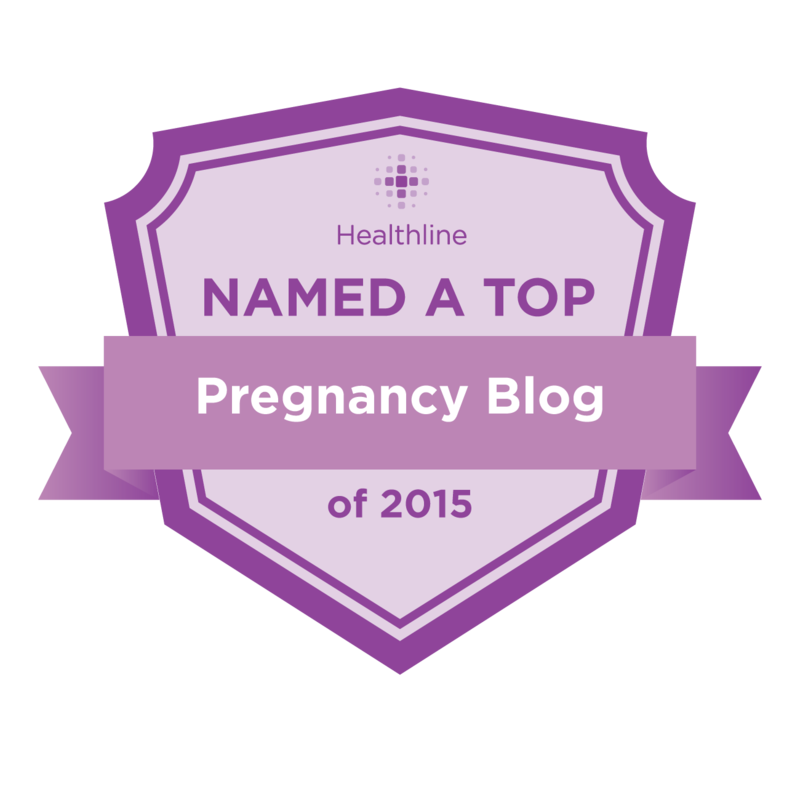 I was afraid of any withdrawal symptoms my baby might experience upon weaning. (My own withdrawal was a doozy.) I was shocked, however, at the startled reaction that I received upon saying that I wanted to formula feed. If you Google bottle feeding or formula, the first sites you will encounter mostly have to do with the fact that you shouldn’t. “Breastmilk is best” is the mantra you’ll see coating every site and even every formula can. But what if your breastmilk isn’t best? Although I was told that my milk was probably “just fine”, I wasn’t willing to take that chance. Along with antidepressants, there are other medications which do appear in breastmilk, in supposed minute amounts, such as antibiotics and heart medicines. I really don’t think that if you’re prescribed one of these medications you should feel bad about choosing not to pass any of it on to your child. There are also medical conditions that can be passed through breastmilk as well, including viruses such as HIV and microbial infections like Lyme Disease. I don’t believe that endangering your child for the assumed benefits (antibodies passed from the mother, no obesity later in life, etc.) is better than formula, even if that is the advice that is given to some of these mothers with illnesses. What if you just don’t feel comfortable breastfeeding? This is another situtation that can arise in new motherhood, whether from having latching-on problems, producing too little milk or post-partum depression. Or if you know you’ll be going back to work soon after birth, and you don’t want to have to make the switch from breastfeeding to expressing milk or formula feeding. You should be able to choose formula from the start without having to experience glances of disgust and suggestions from well-meaning (and not so well-meaning) other people about how to feed your baby. I propose that anyone who feels so strongly about breastfeeding being better and formula being not just less healthy but inferior, should take a look at the FDA’s guidelines. All formula has to meet specific requirements for the correct mixture of vitamins, minerals, protein, sugars and fats. These are equivelent to their counterparts found in breastmilk. A formula fed infant may not get the ease of digestion that an infant drinking breastmilk does, but they definitely get the same amount of nutrients. The antibodies and future protective properties that are so touted by breastmilk advocates are also not exactly a proven fact. According to recent research, breastmilk does not protect against later obesity. Antibody protection has been analysed, but not shown to be 100% effectual – most studies cite that these “might” help your baby resist infection. My daughter, for the record, was exclusively bottle fed and did not get her first cold until 11 months of age. 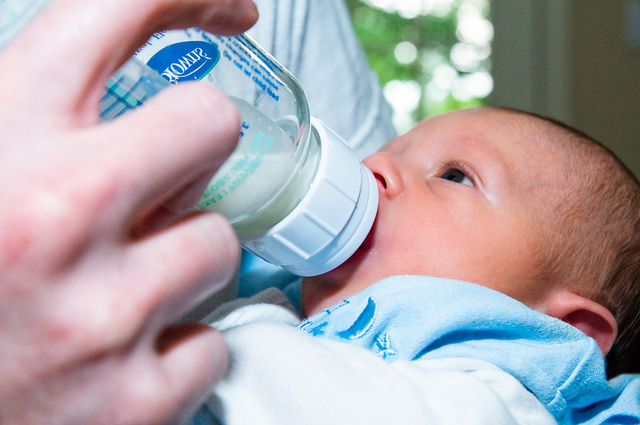 In my opinion, bottle fed infants get something that breastfed infants often do not — Daddy feeding time. I know that my husband and baby are infinitely closer because of those 3 am feedings, and snuggling close together in the middle of the night while bonding. Breastfeeding does not allow this possibility, although I am not saying that fathers to breastfed babies are not close to their children. Above all, it is a choice that a parent has the right to make. There are so many reasons why formula may be the food of choice for a baby, and those who have chosen breastmilk based on their beliefs shouldn’t feel that they have the right to belittle ours. We are good mothers, we care for our babies, we snuggle and nurse and rock them to sleep. Bottle feeding does not change any of that. I read this article and found it very interesting, thought it might be something for you. The article is called I Chose to Formula Feed, It’s My Right and is located at http://www.imperfectparent.com/articles/i-chose-to-formula-feed-its-my-right/.